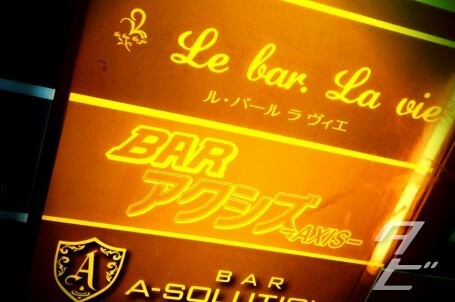 Tubbygaijin.com » Bar Axis, Zeon bar in Kobe! 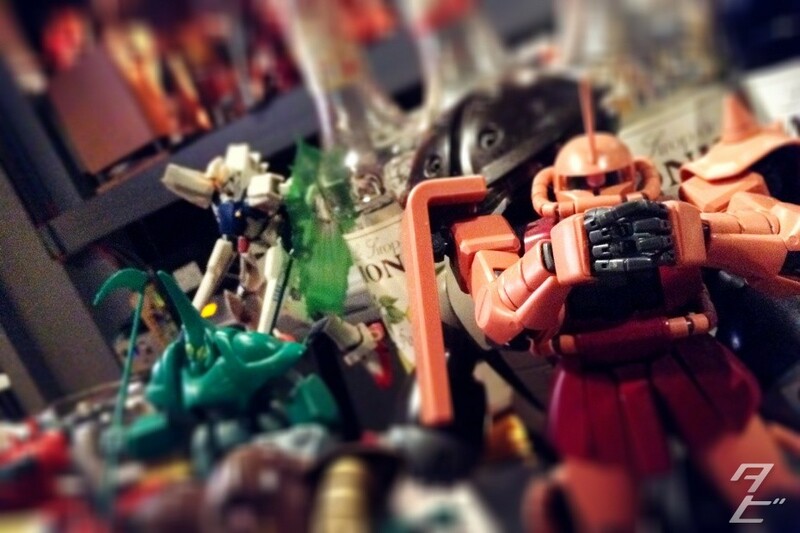 Time for another bar visit, this time in the depths of a Zeon stronghold! 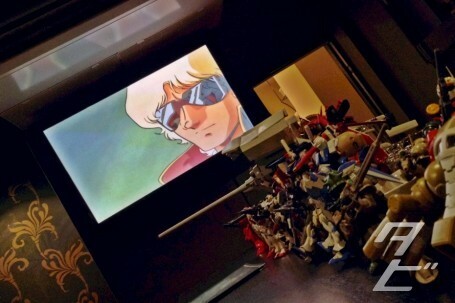 Inside, hundreds of Gunpla and figures of various sizes were dotted across the bar and around the store, Zeta Gundam was playing on a huge TV Screen at the end of the bar providing some classic Gundam entertainment. This new location is pretty compact, but the decor is nice and modern, with counter seating for around eight people. 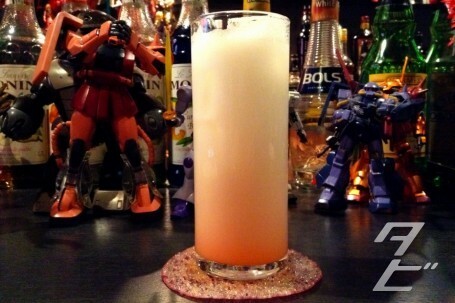 Much like Bar Nerv, the menu is full of food and drink named after characters and events from the show. 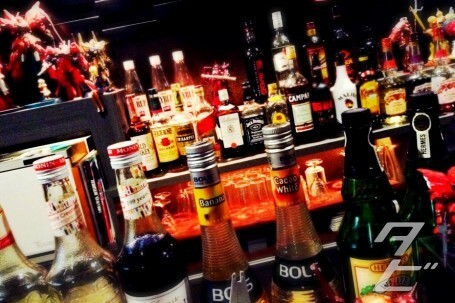 Cocktails start at ¥650 and are graded by strength from C – SS. 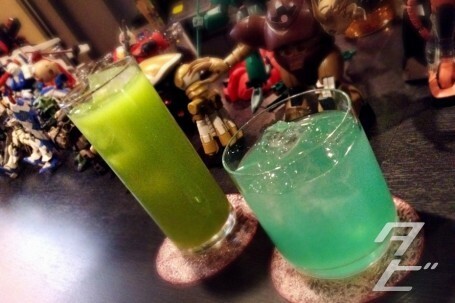 The drinks above from left to right are, “Zaku” “Colony drop” and “Unicorn” – don’t ask me what was in them but they all looked and tasted pretty good – I found the colour change in the Unicorn cocktail particularly cool. 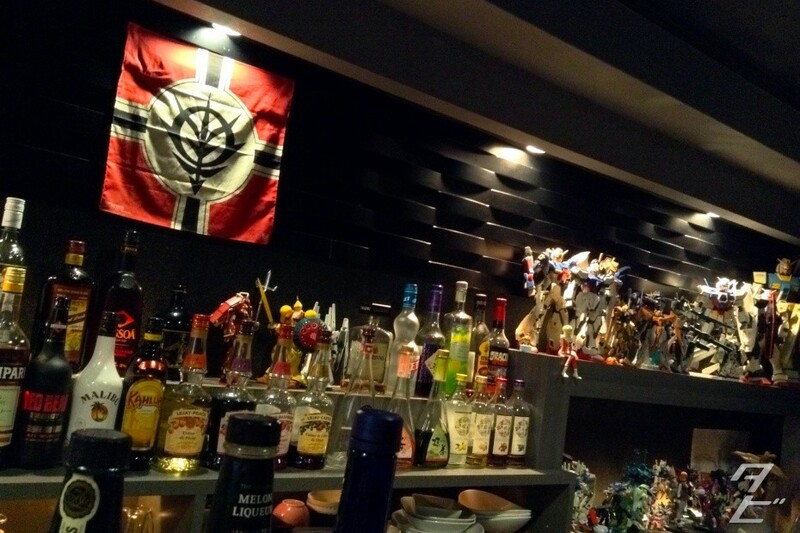 I also tried to order the “Zaku Pizza” but they weren’t serving food 🙁 Quite satisfied by our drinks, we paid the bill and headed off, sent on our way with one more “Sieg Zeon!”. 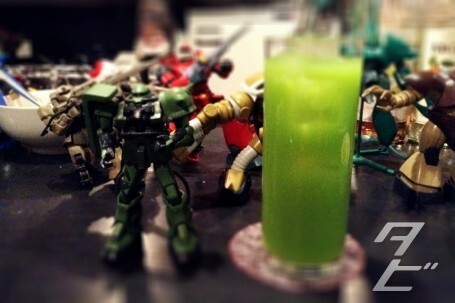 Bar Axis is pretty great if you’re a Gundam fan, there’s a high level of fan service and the drinks were fun, I’d certainly like to go back for some food sometime. It’s a bit far for a dedicated trip, but next time I’m in the area I may well drop by. 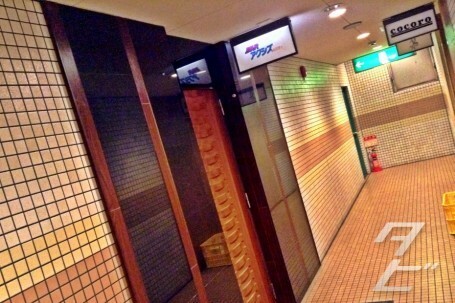 Kobe Shimoyamate-dori 2-17-10 Lion Building Sannomiya Hall 3F, there’s a ¥500 table charge per person. 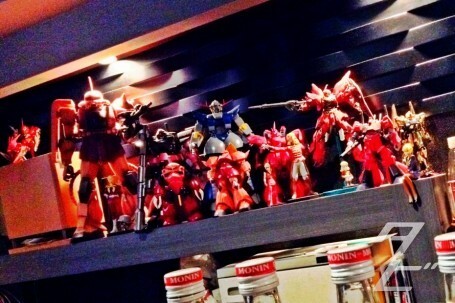 2 Responses to Bar Axis, Zeon bar in Kobe! Thanks, Vanessa! I remember Nick has some in his collection which you tried at the event. I’m glad you like the edt, I’m very much looking forward to B’s review of it tomorrow. Oh to be as cool as Patti! That will never happen to me (even in fancy dress), being the complete nerd that I am.